In March I announced that we’d be starting a new series on The Risky Kids: Life Skills Every Kid Should Know. The response was wonderful – it turns out you agree that there are many things kids need to know beyond what they’re taught in school. 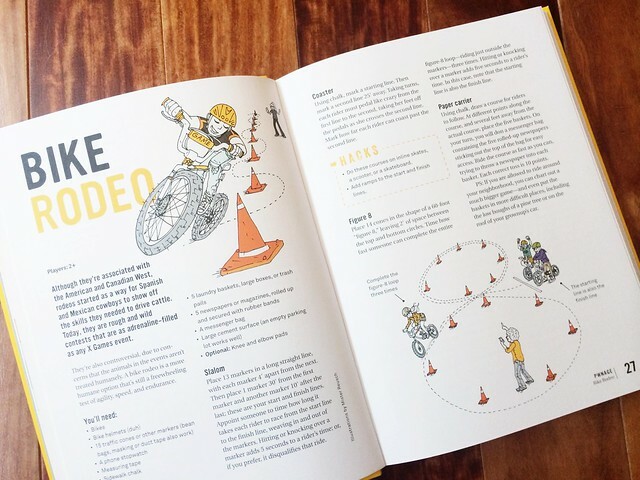 You agreed with our suggestions for the series, and came up with many more life skills you’d like to see added to the list. You can find posts from the entire series on the Life Skills Every Kid Should Know page. If I had to pick the top two Dangerous Things that freak parents out the most, it would be letting kids use sharp objects and anything involving fire. I completely understand. They both evoke images of immediate and life-altering injuries. And in the case of fire, of burning down the house … or the entire neighborhood. It’s precisely because skills like these are inherently dangerous, that I passionately believe they should be taught at an early age. 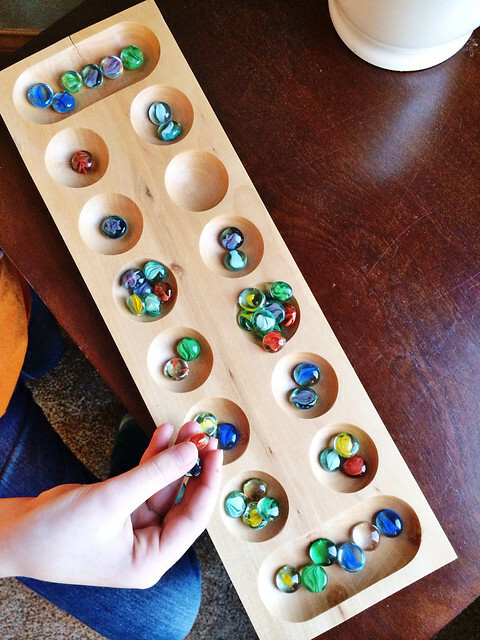 With the proper instruction and supervision, kids learn a healthy respect for these tools. And with early and frequent exposure, the thrill and mystique of fire or knives wears off. It becomes simply a useful skill they possess, as opposed to something mysterious and forbidden which they can’t resist the urge to explore in secret. Learning to build a proper fire was something I was never taught. We didn’t camp or have bonfires as a kid, and so the only experience I ever had was lighting a candle. I’ve never even owned a charcoal grill (! ), so my experience with building any kind of fire was very limited. 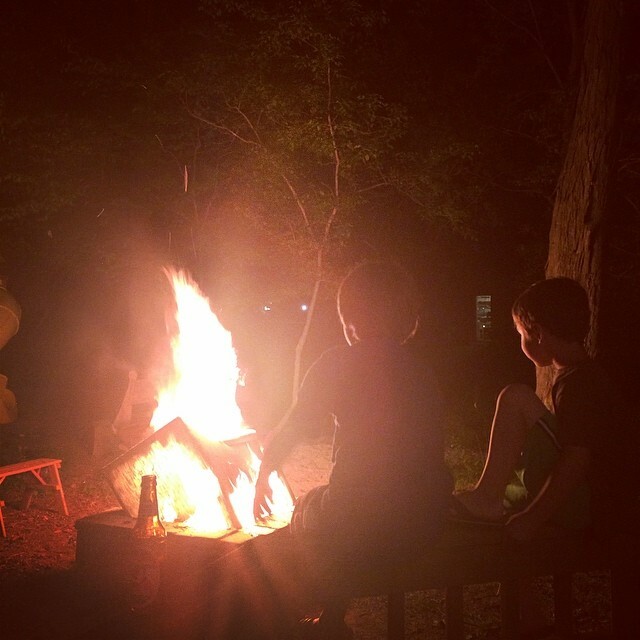 When it came time to put our fire-building skills to the test, I was learning right along with the kids. 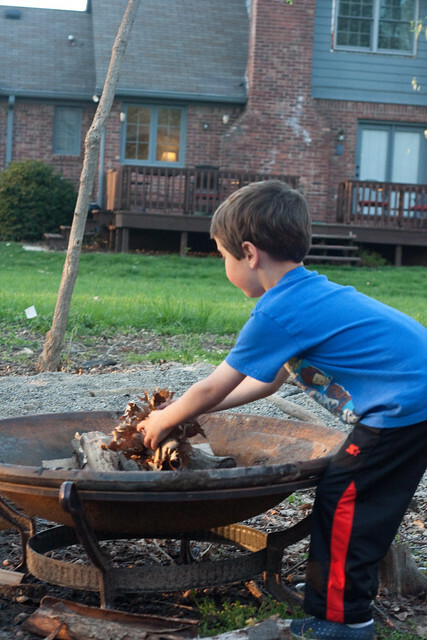 When we build a fire in our firepit, we often have lots of other kids running around. There’s nothing like an open flame and the possibility of roasted marshmallows to bring all the kids to your yard. It’s such a valuable opportunity for real-time teachable moments in regards to fire safety. We teach things like having only one person in charge of the fire (and at the same time making sure there’s always someone in charge of the fire), what you can and cannot put in a fire, how you move around a fire (no running or horseplay), and how to put the fire completely out. Tomorrow kicks off Take a Child Outside week! Looking at the forecast for the next week in our neck of the woods, it looks like Mother Nature is on board as well – it looks like the perfect fall weather! Take a Child Outside Week, created by the North Carolina Museum of Natural Sciences, is held every September 24-30. This might seem to be an odd time to celebrate going outside. I mean, the weather’s changing, and everyone’s busy with school and sports, right? Actually, it’s the perfect time! 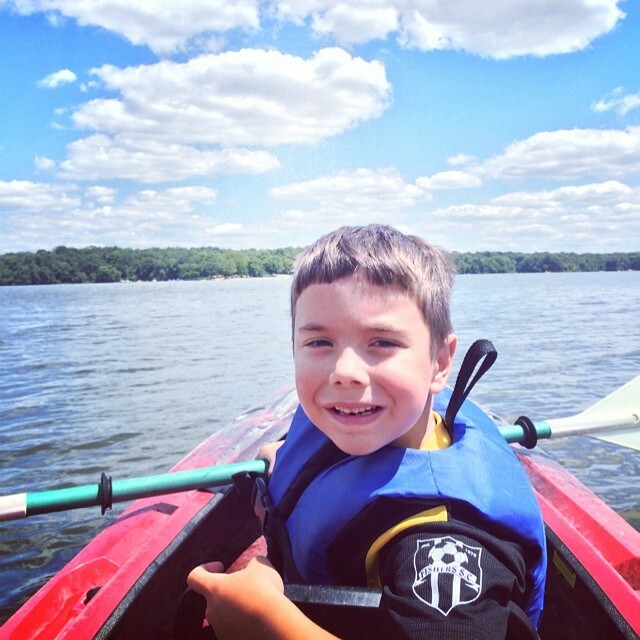 Take a Child Outside Week is about getting families and caregivers into the habit of making outdoor activities a part of everyone’s daily lives, all year long. Make it a priority now, and see if it doesn’t make a difference in the minds and bodies of your kids. A little inspiration always helps, and The Risky Kids are always eager and willing to help get you outside! 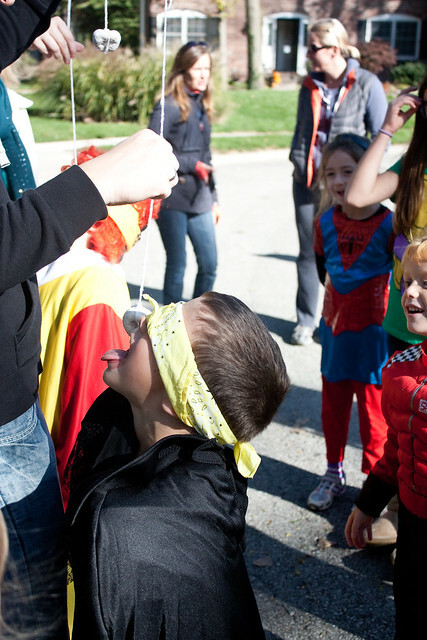 Here are 6 tried-and-true fall adventures perfect for celebrating Take a Child Outside Week. Invite some friends to your outdoor party! 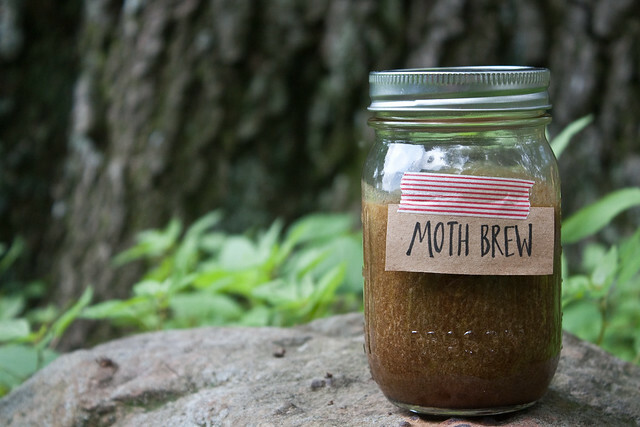 Make this sticky-sweet concoction, paint it on some tree bark at dusk, and see who comes to visit. 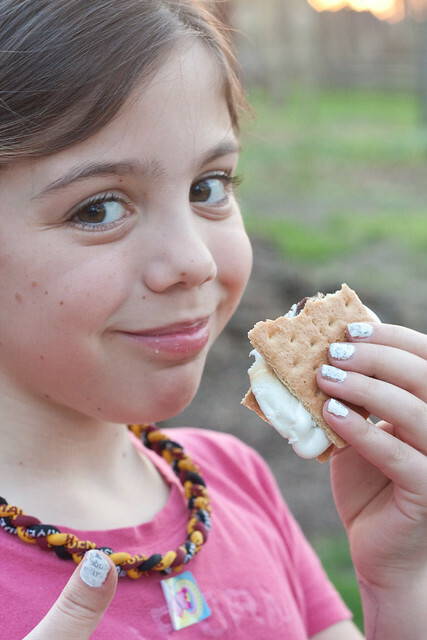 While you’re waiting, why not have bonfire and roast some s’mores? The best part about saving this activity for the fall? It gets dark earlier, so little ones won’t have to stay up way past their bedtime to see the moths. If I ask my kids if they want to go on a walk or hike, often they’ll say no. BUT … if I ask them if they want to go on a scavenger hunt? They’re all in. We’ve done this a few different ways, such as this counting scavenger hunt from Rain or Shine Mamma, as well as this one from Kidventures. You’ll be amazed at how much longer your walks will last and how much more enjoyable they can be when the kids are on a mission. 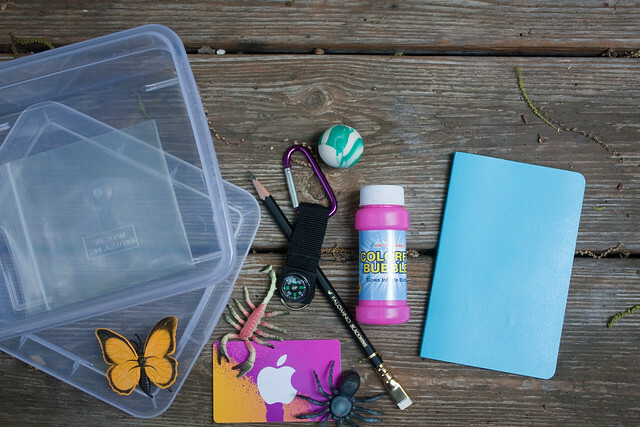 Grab your Geocache Kit and head out the door to find new treasure! I find that spring and fall are the best times to geocache. When the leaves and foliage start to die back and clear up, you can often find caches that were difficult to find before. Add to that cooler weather and less bugs and you’ve got yourself perfect geocaching conditions. Chances are if you visited your nature center over the summer, things have changed. Most will change their programming according to the seasons. If you need help finding a nature center near you, use this handy locator. Or you can do like we did one fall, and road-tripped to a really cool nature center! I know it’s silly, but when was the last time you worked on a useless but totally fun skill? I find this especially true with my tween: she’s reluctant to go outside, but the opportunity to see her parents make fools of themselves is too good to pass up! Somersaults, round-offs, slam dunks, frisbee trick shots … surely there’s a goofy skill the family can work on together. It’s your turn to share! 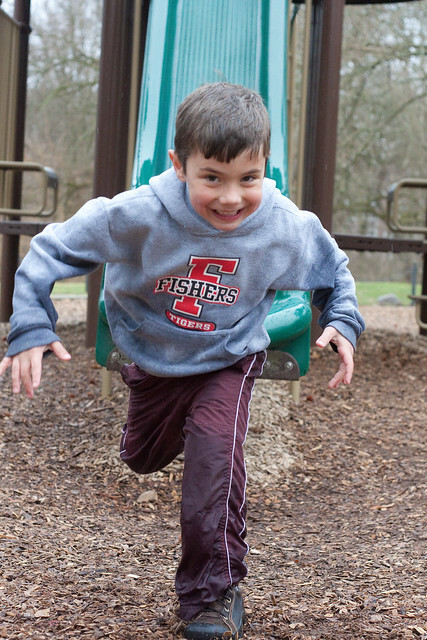 What are you doing to get a child outside this week? Have you ever tried geocaching? If not, you definitely should! Think of it like a modern day treasure hunt. People hide “caches” in different locations. In order to find these caches, you get the coordinates of the cache’s location and use a GPS to locate it. Once you find it, there’s usually a logbook to sign. You leave the cache exactly as you found it, so that the next geocacher can do the same. Geocaching is a perfect family activity. If you’re already an outdoor-loving family, it just one more fun thing to do outdoors. 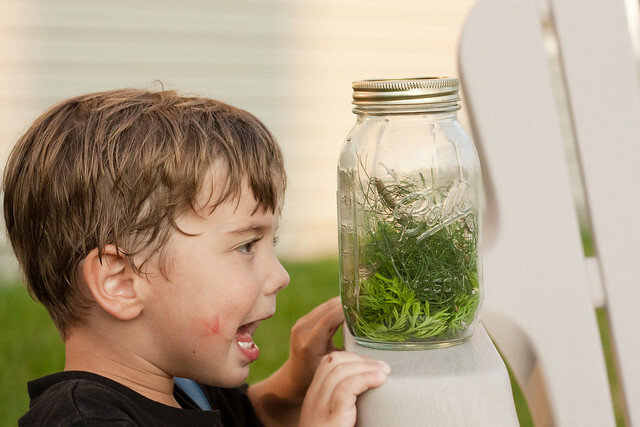 And if you struggle with getting yourself or the kids outdoors, geocaching is a great way to spend time outdoors while focused on an entirely different activity. Many geocaches contain a collection of small trinkets or goodies. Once you’ve found the cache, you can leave something of greater or equal value and take something fun home with you. My kids, who aren’t big on walks or hikes, will walk for miles just to find a geocache and some possible treasures! The best thing about geocaching is that it’s not limited to one area or environment. You can find caches all over the world, in both urban and suburban environments. 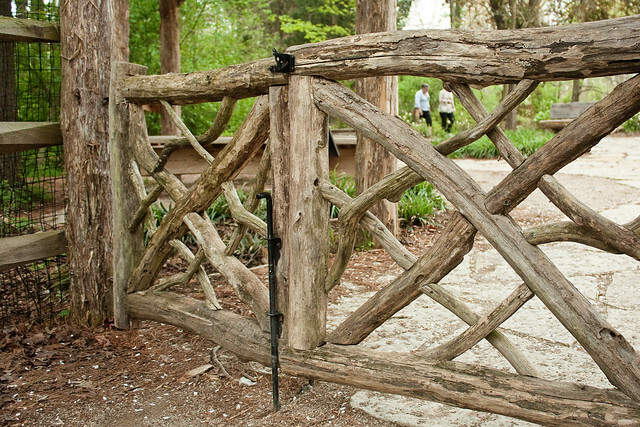 It adds an extra element of fun to traveling – what geocaches can we find while we’re away? Today I’m going to share with you how to make your very own geocache kit. Not only is it a great way to get started yourself, these kits make great gifts for other kids or families. 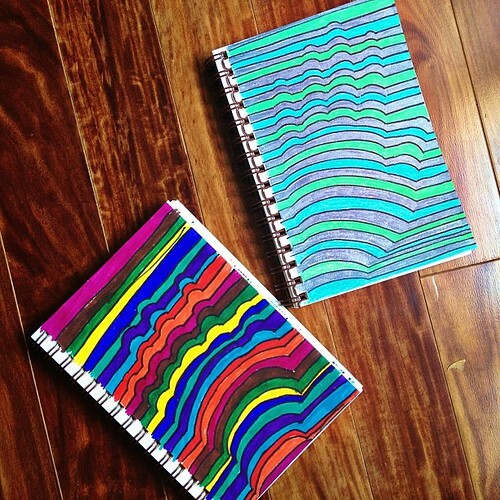 They’re super easy to put together, and before you know it you’ll be on your way! The bonus is that once you’ve tried geocaching a few times, you’ll probably be inspired to make and hide your own cache. The kit provides a few things you’ll need if you want to do that as well. Just gather all the items in the plastic container. 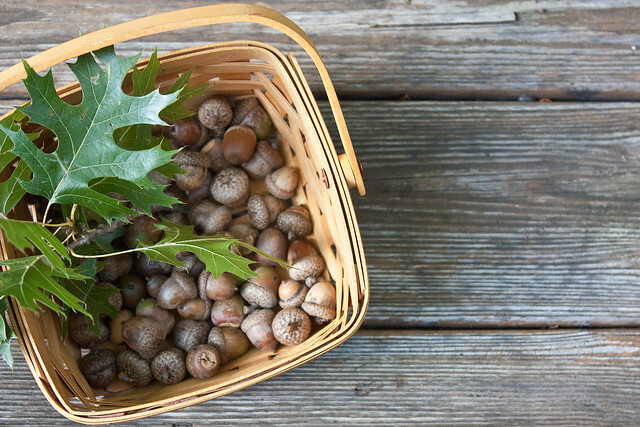 If it’s a gift, wrap it in something fun or nature-themed. If not, you have a handy storage container for all your supplies that stores easily in the car or a backpack. Now get out there and have fun hunting! Today kicks off National Backyard Game Week! You know how we feel about the rules here at The Risky Kids, so if you want to play your backyard games in the front yard we won’t tattle. The important part is to get outside and play some games! We’ve taken the time to round up some inspiration to get you outdoors and playing this week. CLIF Kid has a great tool on their website where you can plug in the number of kids who want to play and what you want to use to play your game with (nature, household items, toys, water, or your imagination) and it generates a game for you to play (a game of Card Sharks, perhaps?!). Of course, you can always enter your own game in the CLIF Kid Backyard Game of the Year contest! 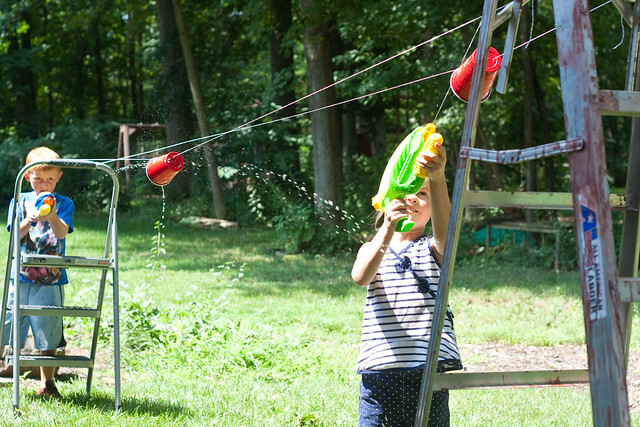 What awesome backyard game will your kids be playing this week? Portions of this post originally appeared on The Risky Kids last summer. As summer camp season approaches yet again, I thought it would be a good time to revisit the topic of sleepaway camp for kids. If your kids are headed to camp this summer, I highly recommend the Camp Combo label pack from Mabel’s Labels (affiliate link). I’ve used them 2 years in a row now – they’re still holding on strong and we haven’t lost a single thing at camp yet! Last summer we sent Elena, age 10 (almost 11) at the time, to two weeks of sleepaway camp. 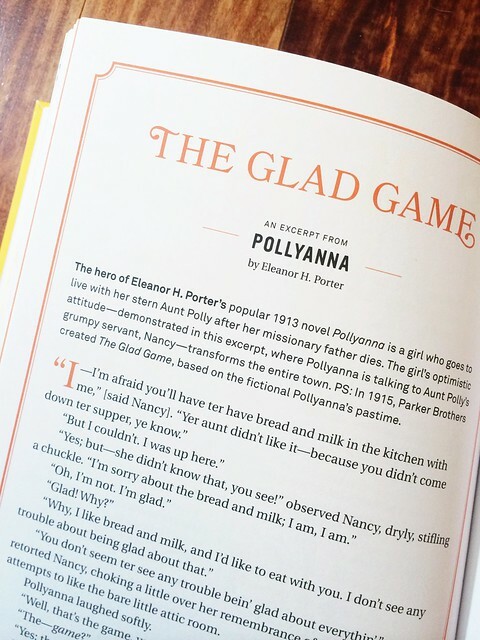 It wasn’t her first experience – she’d gone to the same Girl Scout camp for a week the summer before – but it was the longest she’d ever been away from us. For 11 days and 10 nights we had absolutely no contact with her. We could send bunk notes (essentially email), but she couldn’t email back. I sent her with enough stationary and stamps for a trip to Europe, but she’d been too busy having fun to send home more than one postcard. My husband and I didn’t grow up going to sleepaway camps. I tried sleep away camp “lite” once and hated it. It was a day camp that culminated in sleeping outside on the last evening. I was 5 miles away from home and only gone for 24 hours, but that didn’t stop me from trying every trick in the book to get my mom to pick me up before the night was over. Elena, on the other hand, really enjoys camp. Every year we offer her the chance to buddy up and choose a week with friends. She brushes us off and instead chooses her weeks based on the theme. Last year it was Harry Potter one week and the Hunger Games (Kamp Katniss) the next. Every time she went without knowing a soul. She came home with the smelliest laundry and the best stories. The 90-minute ride home is full of chatter about all the amazing things they did during the week. Any parent of a tween or teen will tell you they would gladly pay whatever the camp fee is just to get a kid that wants to talk to you uninterrupted for 90 minutes. I hope that summer camper turns into a camp counselor. I hope the camp counselor turns into an eager college student. I hope the eager college student turns into a world traveler. And I hope she is never too homesick and she sends more postcards. Today kicks off Screen-Free Week 2014! Last week I wrote about the purpose behind Screen-Free Week, and how the details of disconnecting can be different for each family. The kids are allowed to use the iPad or watch a show in the morning before school. We are not a morning people, and this always eases them into the day. It’s a very short amount of time that they’re using screens, and I never have issues with it interfering with getting ready or getting out the door in the morning. During the school week, we won’t be using screens after school, unless needed for homework. I will also refrain from using television, social media or mindlessly surfing the web from the time the kids get home from school until the next morning, unless it pertains directly to work. On Saturday we can have an hour of screen time. On Sunday all bets are off. It’s Mother’s Day, after all, and I would like to have a relaxing day! For me, that means catching up on reading other blogs and perusing Pinterest (as well as non-screen related activities such as sleeping, reading, more sleeping … you get the idea). For some of you, this may look like a normal week, and for that I applaud you! But I want to be transparent, and show other families that we struggle with screen usage just like many of you. Visit new playgrounds and vote for the new family favorite. 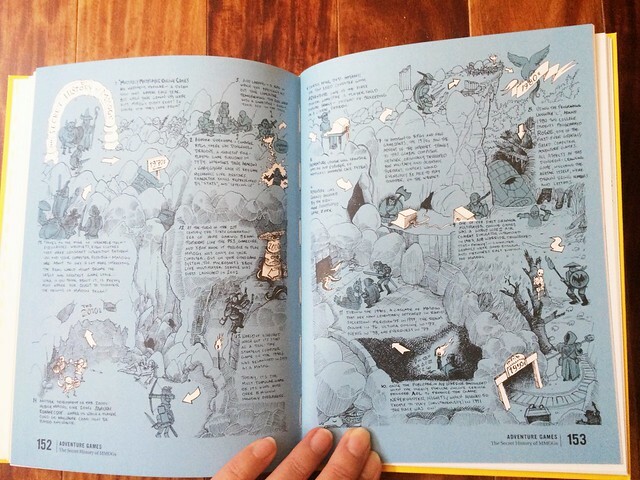 Check out some field guides from the library. Go on a nature walk and try to identify trees, wildflowers, or birds. Try the Diet Coke and Mentos experiment. Deconstruct a screen that no longer functions. Perhaps your somersault needs perfecting. 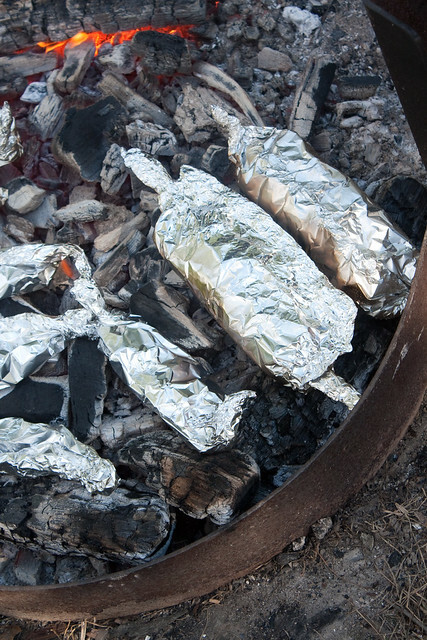 Work on your fire-building skills and treat yourselves to dinner or s’mores cooked over the open flame. 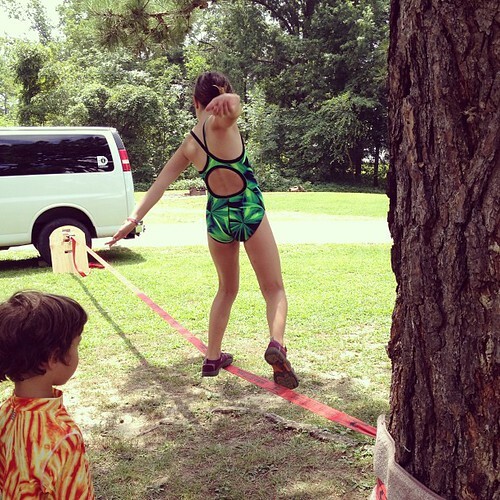 Give slacklining a try. Go kayaking with the kids. Take the time to be silly. Between school, work, and spending mindless time in front of screens, one of the first things to disappear is our ability to goof off. While screens can certainly relax us and take our minds off of things, we forget about the restorative power of laughter. Roughhouse with the kids. Have a whip cream fight. We like to play a game to see where we stand in a circle and each do something ridiculous at the same time. The last one to laugh wins. The truth is, when we let our guard down and get silly, we all win. 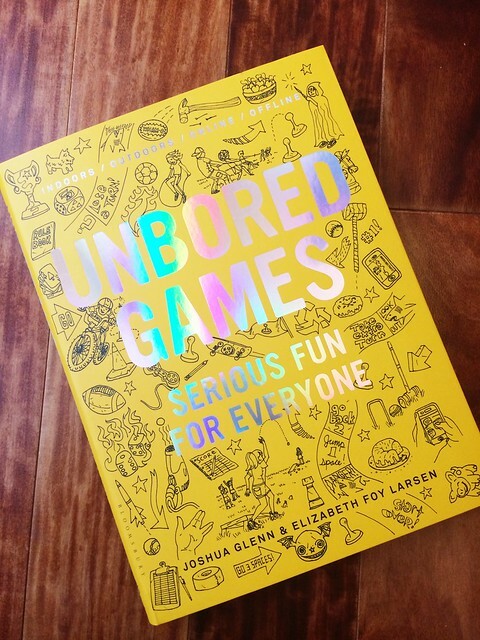 Do you have anything fun planned for Screen-Free Week? Or are you just seeing where your undistracted imaginations take you? Close your screens, save that phone call, errand, or complicated dinner for another day. “Come forth into the light of things,” and go outside today. Who knows what glorious things you might discover! 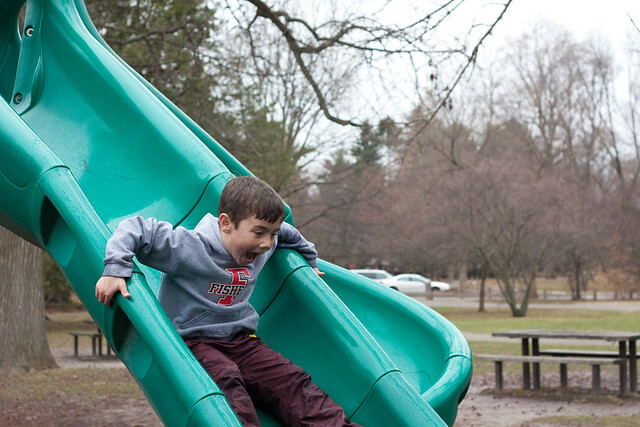 We talk a lot about how today’s playgrounds are too boring for kids. They need the freedom to take more risks! We need to worry less about safety and more about how we can challenge them! Apparently all they need is your standard playground slide and a rainy day. 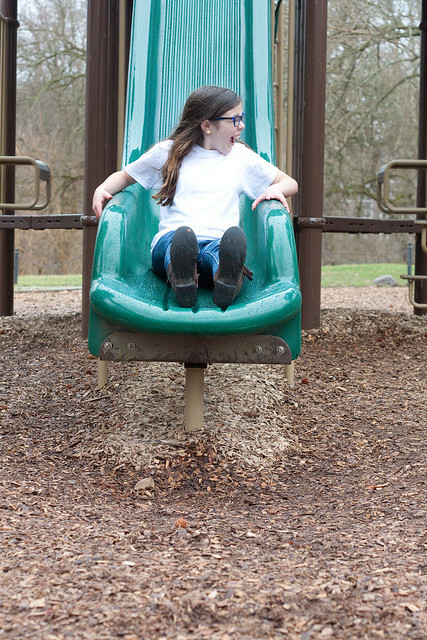 Disclaimer: Despite photos that seem to show otherwise, no children were injured while playing in inclement weather on a deserted, CPSC-approved public playground. Kids: DO try this at home. May result in muddy pants, giddy smiles, and laughter. Perhaps it’s because we’re finally coming out on the other side of the coldest, snowiest, and longest winter I can remember, but the kids have been itching to get outside more than ever. They want to go outside on nice days, of course, but they also want to go outside on chilly and drizzly days. Somewhere along the way, we lose our desire to want to play outside in the rain. But just because we’d rather curl up with a blanket and a good book, that doesn’t mean we have to keep the kids inside. One of the most magical things about childhood is seeing everyday things transformed by the weather and the elements. 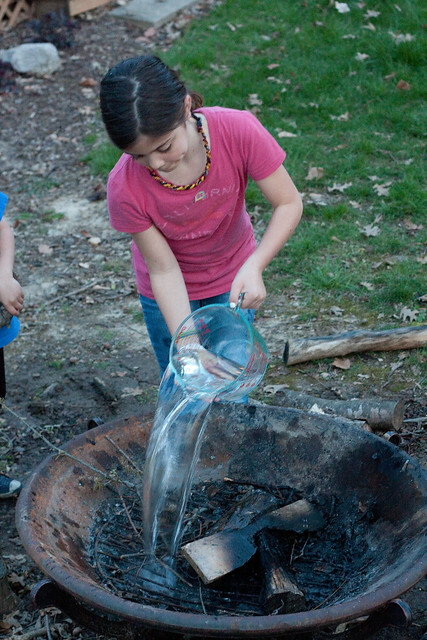 Warm spring rains are the perfect backdrop for kids to explore how things change when rain begins to fall. Where are the best puddles? Why do puddles form here but not there? What happens when I jump in a puddle? 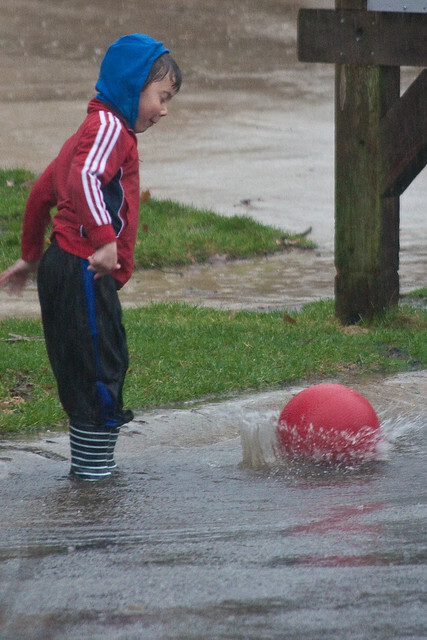 What if I bounce this ball in a puddle? In addition to water play, there are worms to examine, mud to poke around in, and umbrellas to twirl. We had a really heavy rainfall a couple of weeks ago and the kids were mesmerized by how quickly our backyard turned into a temporary pond. Set aside a set of old play clothes, invest in a pair of rain boots and some cheap umbrellas, and you have everything you need. 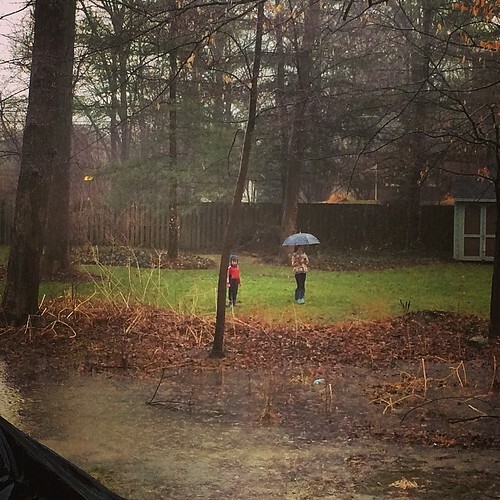 Next time the kids ask if it’s okay to play outside on a rainy day, say yes! You can either join them, or enjoy the peace and quiet with that blanket and book.